These days, you're never more than a few months away from a Facebook phone rumor. 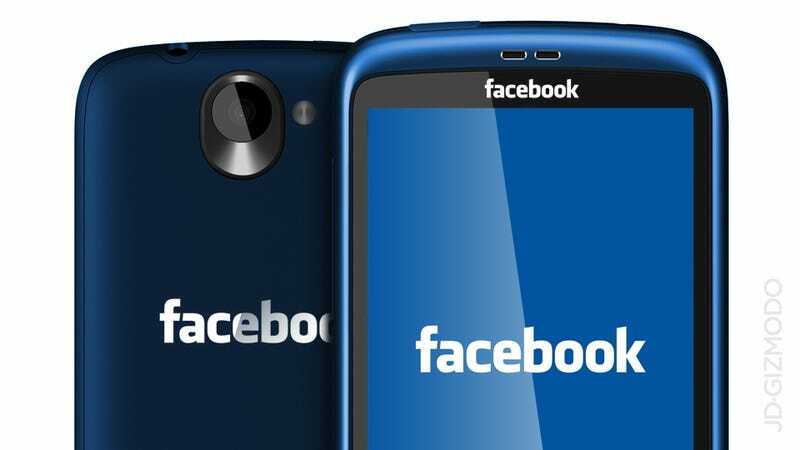 Now, despite the fact it could prove to be an awful idea, Bloomberg is reporting that Facebook is working closely with HTC (again) to launch a Facebook phone by 2013. Strictly speaking, Facebook has already built and launched a Facebook Phone with HTC: the Status. But despite "deep" Facebook integration—if that' s what you can call a Facebook Chat widget and a dedicated Facebook button—it was a certified flop. Instead, Bloomberg is reporting that Facebook has assembled a team of engineers from Apple and Palm, which has been putting together what the article describes as a "modified operating system" for the device. Firstly, Bloomberg doesn't make clear what the OS might be based on—though Android is a safe bet—but nor does it expand on how extreme the modification is. That leaves room for some wild speculation of how the OS will turn out, which could range from something barely identifiable to an install little different from stock. There are even fewer details supplied by Bloomberg as regards hardware, save for the fact that the device is reportedly being manufactured by HTC. While the project was, according to the report, scheduled to be launched by the end of 2012, that date has apparently been pushed back to mid-2013 to "give HTC more time to work on other products".